The final recent biography of Freud that I will recommend is Elisabeth Roudinesco’s ” Freud in His Time and Ours” (2016). Roudinesco is the Head of Research in History at the University of Paris Diderot. She is also a psychoanalyst and a biographer of Jaques Lacan. I have previously recommended Peter Gay’s biography for a comprehensive treatment of Freud’s life and thought. I now recommend Roudinesco’s biography as a recent update and intellectually engaging and relatively balanced treatment of Freud’s life in the context of history. Roudinesco makes a convincing case for the ongoing influence of many of Freud’s ideas, while fairly judging other ideas as no longer relevant. She includes a commentary on the “many Freud’s” , the point with which I began my series of posts. 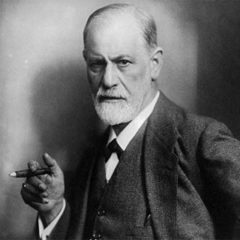 Roudinesco lists some of the many ways that Freud’s life has been interpreted: “Freud and Judaism, Freud and religion, Freud and women, Freud the clinician, Freud the family man, Freud with his cigars, Freud and his dogs, Freud and Freemasons, Freud and neurons, and so on. Turning to Freud bashing, still more Freud’s can be found: Freud the rapacious, Freud the organizer of a clinical gulag, the demonically, incestuous, lying, counterfeiting, fascist Freud.” (p.2) This underscores my post title, “Whose Freud? Who’s Freud”. Roudinesco wraps her biography by reminding us of the Freud who continues to influence and impact our contemporary societies, even with those who have so fiercely railed against him and his ideas. As I mentioned in an earlier post, one wonders why Crews spent so much time nitpicking every aspect of Freud and his ideas and practices and why the New York Review of Books continued to publish his rants, when Crews was clearly living off of being a Freud Basher and readers were already more than familiar with his criticisms. Joel Whitebook’s new book is: “Freud: An Intellectual Biography” (2017). This is the most recent biography that I have reviewed. I will not be reviewing the other 2017 biography by Frederick Crews, though I will refer (in another post) to a November 10, 2017 review of his book in “The Chronicle Review” by Alexander C. Kafka. Whitebook focuses on two central themes, which he claims have not yet been adequately explored in earlier biographies of Freud: “the missing mother and “the break with tradition”. My assessment of Whitebook’s biography is that he succeeds in exploring his two themes while integrating material on Freud’s intellectual and interpersonal life. This is not the biography one might consult for a comprehensive biography and Whitebook acknowledges this. A reader might require some familiarity with psychoanalytic terminology and theory in order to follow some of Whitbook’s analysis and explanations.